Spoonz Music Group, Inc., founded in Central New Jersey in 2006 by Raheen Gilchrist a respected Talent Agent and Artist Manager to some of the Hottest commercial and up and coming artists in Hip-Hop and R&B. If you are a client or a talent buyer our goal is to superserve "Our Mission Your Success"
Ticketed Concerts, Club Performances, Club Appearances & Speaking Engagements. 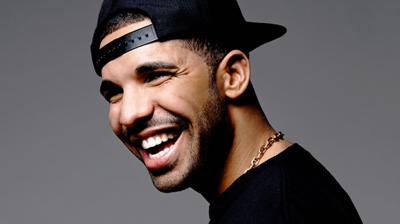 Canadian rapper Drake has released four studio albums, one extended play, five mixtapes, seventy-seven singles(including fifty-two as a featured artist), seven promotional singles and thirty-six music videos. His music has been released on record labels Universal Motown Records and Universal Republic Records, along with subsidiaries Aspire Music Group, Young Money Entertainment and Cash Money Records. He has the most number one singles on the USHot Rap Songs chart with 15, and as a rap artist, he has the most number one singles on the US Hot R&B/Hip-Hop Songs chart, with 16.. In 2006, Khaled released his debut album Listennn... the Album. He went on to release We the Best (2007), We Global(2008), Victory (2010), We the Best Forever (2011), Kiss the Ring (2012) and Suffering from Success (2013). In 2009, Khaled became the president of record label Def Jam South and he is also the CEO and founder of We the Best Music Group. Khaled released his eighth studio album, I Changed a Lot, on October 23, 2015. In July 2016 he released his ninth studio album Major Key.